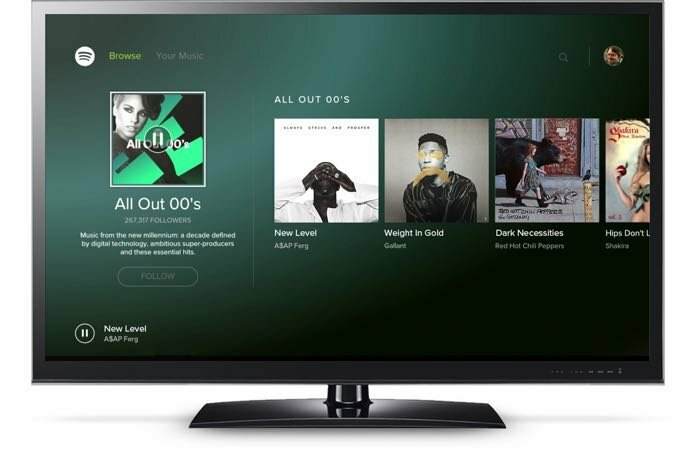 Spotify has announced that its popular music streaming service is now available on Google’s Android TV and the app is available for devices that are running version 5.0 and above. The app is also available in a range of other devices which include the NVIDIA Shield, Sony Bravia TVs and more. If you’re using the current version of Android TV (5.0 and above) you can download Spotify from the Google Play Store on your TV and instantly begin browsing your favorite albums, songs, and playlists using your Android TV remote, or by using the Spotify mobile app to control your music via Spotify Connect. And, while you’re playing the tunes, you can check out the beautiful album artwork right there on the big screen! You can find out more details about Spotify on Android TV over at the company’s website at the link below.